The honorable Judge John Hodgman once said that there is a thin line between a collector and a hoarder, and that line is a display case. Honda employee and superfan Lance says that his magnificent obsession began with the original NSX. No doubt a lot of people fell in love with that car… but how many of them were inspired by it to buy old Honda power generators, Honda socks, and even an S2000 beach towel? We’re guessing you could count the number on one finger. Lance’s prized possession is his original brochure for the 1949 Honda Dream (also known as the Model D), Honda’s very first motorcycle. 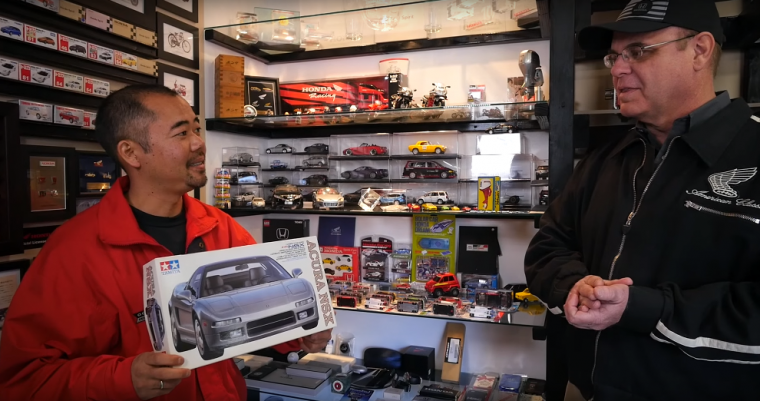 This profile of one man’s intense collection is the first in a new video series entitled “Honda Kokoro.” The word “kokoro” is Japanese for “heart,” and the video series promises to celebrate “the heritage, culture, people and products that make Honda uniquely Honda.” It will be interesting to see who or what the series documents next. Lance’s collection may be hard to fathom for some people (his wife included), but you know what they say—the kokoro wants what the kokoro wants.